When you ask a German whether he's been on a cruise before, he'll invariably--if he's never sailed with AIDA--smile and say, "I'm not old enough yet." Running gag. Haha. Apparently cruises are for the ancient, the less mobile and the done-with-lifers. I went on my first cruise several years ago. Oops. Then--was it 2009?--I went on a Pacific Princess cruise to The Holy Land with my parents, who are a few years older than I am--I suppose that's relatively clear--but they are also not what I would call ancient either. And they'd been on cruises before. When they were younger. 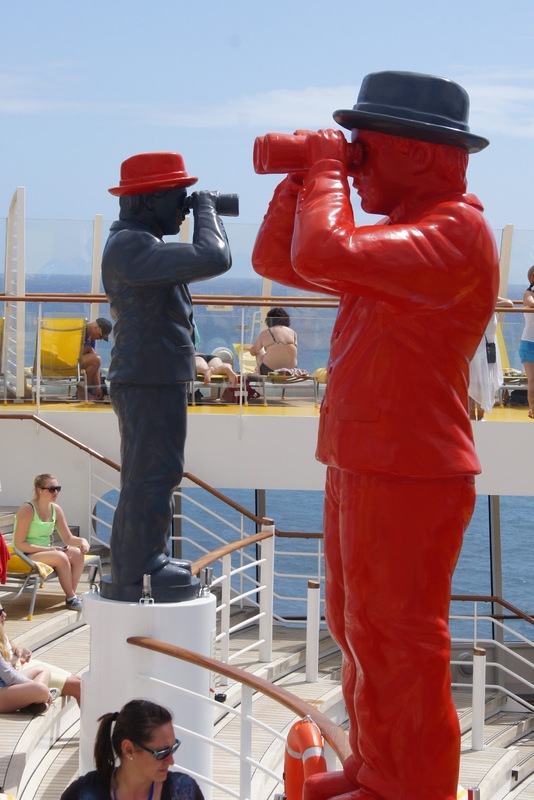 As I board the AIDA Sol monster of a ship, I notice something odd here. There are lots of chldren. There are lots of teenagers. There's a netted basketball court. And everyone's speaking German. I turn to my travelling companion, Alexander the Pool Shark. "What gives? We are on Tenerife, right?" I smile. I know where I am, which is not always the case. But I'm also confused. We are boarding a ship with thousands of other Germans . . . "in . . . Spain?" "Correct," Alexander the Pool Shark says. It doesn't take Alexander the Pool Shark long to fill me in. 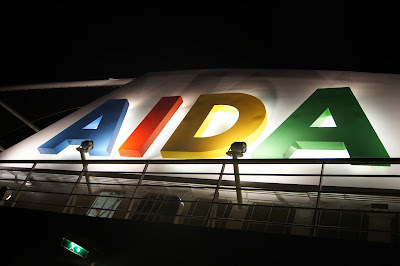 AIDA is a German cruiseline with ten ships that sail as far as Hong Kong and Norway and Terra Del Fuego, which is fancy Spanish for Patagonia, which is also fancy for the tail of South America. 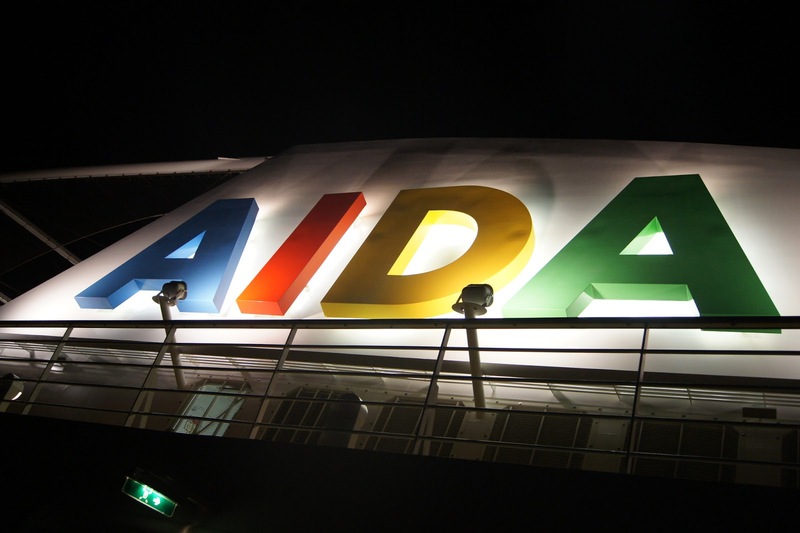 AIDA sails away to where you want to go--in German. There are around 3000 passengers on board: 2999 Germans and one adorable American. "The ship is 253.33 meters long," says Alexander, spreading his arms at the ship, "fourteen decks and 32.2 meters wide, which is how wide we will be at the end of this week." "Gravity different on board?" I assume. "The wine is free at mealtimes." AIDA is heaven on the sea. "We will train our bodies twice a day to make up for the ridiculous consumption of wine and food," says Alexander--and this sounds like a plan which we will certainly follow. Wink Wink. The first thing we do on board? Eat. This will also be the fourth and ninth and thirteenth--you get the picture. While it is widely known that a cruise means gorging oneself from dawn till dusk, on the AIDA ships you'll want to gorge yourself extra good. We are pleasantly surprised by the quality, the variety and the bottomlessness of the wine. If you've been on a cruise before you'll know that on the first evening all guests are required to take part in the emergency drill. Alexander the Pool Shark and I thought it would be a good idea to make this drill as realistic as possible--after having had a "wee" bit of wine. I'm happy to report we made it to the meeting point . . . with the guidance of four maybe twenty members of the crew, who I assume would have been jumping overboard if there'd been a real emergency. After standing around in our life jackets for a really long time and listening to the emergency instructions in English and German--the only time an English announcement is made on board--all 3000 of us make our way up to the pool and party decks to hear Enya sing "Sail Away" as we leave the Port in Santa Cruz, Tenerife. This song will forever be bound to the memories of leaving every port in the Canary islands on the enormous ship AIDA Sol. These are good memories that make me teary (shut up) when I hear this song now. I hope Enya knows her song is played every time an AIDA ship leaves a port. Enya, do you know? 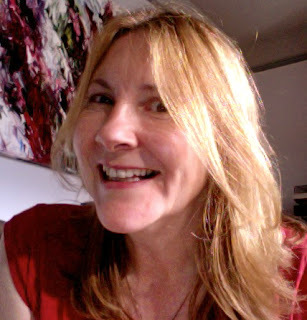 Are you getting your royalties? Have you ever been on a cruise? Not just Enya but also you. I'm interested in your experiences on the sea. How are your sea legs? Mine were horrible the first night. 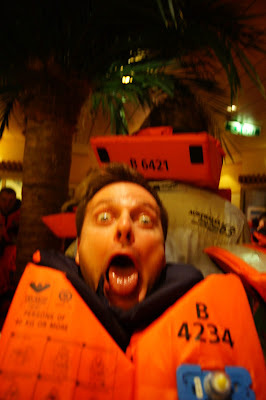 I learned a new word in German: Spuckbeutel or sea sickness bag. Christopher Allen is the author of the absurdist satire Conversations with S. Teri O'Type, the story of a man who's having trouble living up to expectations. 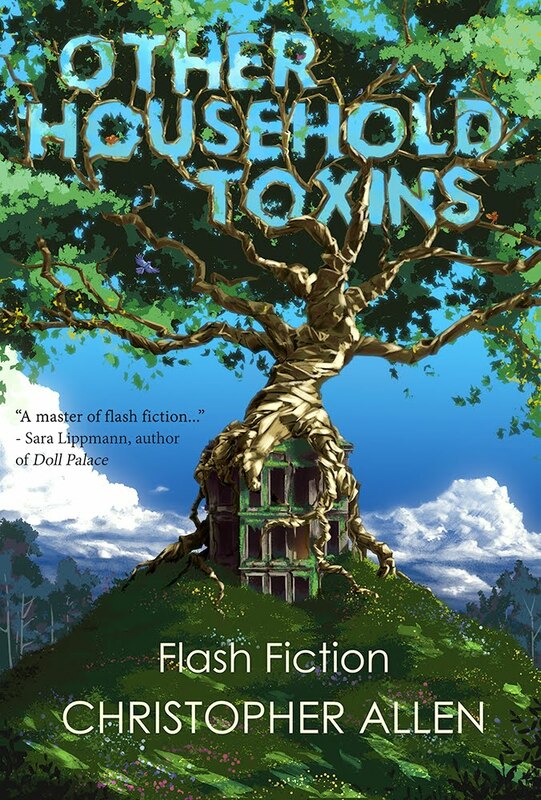 Available from Amazon Anything. Hi, Dora! Thanks for stopping by. Great to hear from you!